The Golf is turning 45. 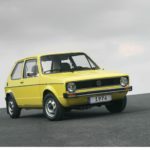 On 29 March 1974, the Volkswagen plant in Wolfsburg officially started production of what would become its best-seller. Since then, the successor to the legendary Beetle has sold more than 35 million units all over the world. 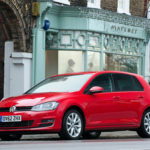 In purely mathematical terms, a new Golf has been ordered somewhere in the world every 41 seconds, every day, without interruption, since the start of production (SOP) 45 years ago. That is an average of around 780,000 vehicles per year. 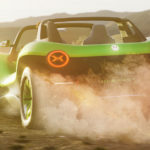 Volkswagen has put the fun back into the beach buggy scene with its very own zero emissions high-tech vehicle for summer. 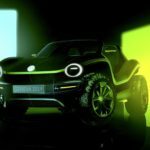 It’s called the ID.BUGGY and there are plenty of parallels to the Californian dune buggies that were all the rage in the sixties. Volkswagen is will celebrate the world premiere of the new Touareg V8 TDI at next week’s Geneva International Motor Show. Its output of 415 bhp makes it the most powerful SUV with a diesel engine from a German manufacturer. The maximum torque of the high tech turbo diesel engine reaches 663 ft lb. The new flagship vehicle will come on the market at the end of May. 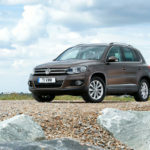 If you’ve grown out of a Golf, the Tiguan is the logical next step. In fact, it’s based on the Mk5 hatch, but with SUV bodywork and clever sliding and folding rear seats that boost versatility. 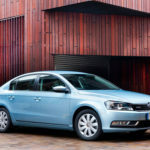 By the time the seventh generation Passat was available, it was a very mature piece of kit, with a polished personality and ultra-conservative styling. With a cavernous boot, the estate is loads more practical and arguably better looking too, so it’s no surprise that they also tend to hold their value a bit better, too. 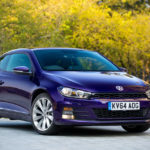 With the Scirocco no longer in production, used prices are being bolstered as fans of the coupé realise there are few like-for-like competitors now available. The Scirocco certainly holds appeal, not only because of its stylish looks, but because it shares plenty of technology with the esteemed Golf GTD.